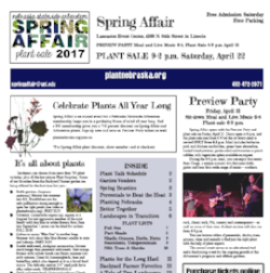 11" x 17" Newspaper full of gardening information and the list of 2018 Spring Affair Plant Sale plants. Distributed to 13,000 people. 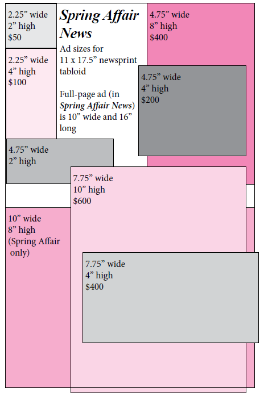 We will bill you to the contact information above after verifying your advertisement order.